Kayak Fishing for King Mackerel is an awesome way to spend time on the water along the Emerald Coast. Fortunately, the majority of the Emerald Coast provides instant access to the Gulf of Mexico and the King Mackerel are plentiful from May – October. 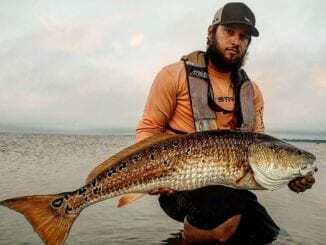 If you’re new to Offshore Kayak Fishing, check out our blogs Conditions for Offshore Kayak Fishing and Offshore Kayak Fishing. 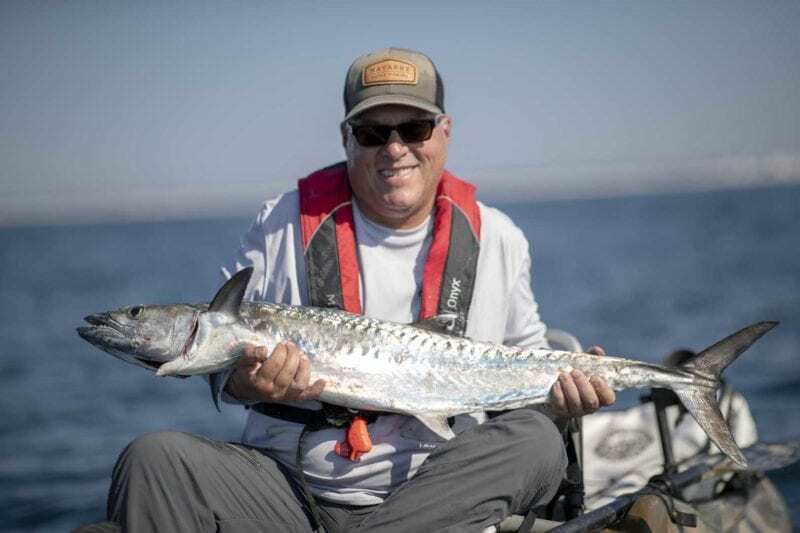 There are several ways to catch King Mackerel from a kayak and we are going to briefly highlight two of them. When targeting the majority of offshore fish it’s hard to beat a live Cigar Minnow. But somedays live bait will be hard to come by and you should always bring a bag of frozen Cigar Minnows to be on the safe side. Some of our biggest King Mackerel came on frozen Cigar Minnows last year! Drifting is one of the easiest and most effective ways to catch King Mackerel. When drifting we prefer to use a “pier rig” and 3-4″ Cigar Minnow. We use 12-18″ of 27 lb. Berkley 7Strand with a swivel and an Eagle Claw Treble Hook (Size 2) attached at opposite ends. We snell the hook and attach the swivel using a Haywire Twist. 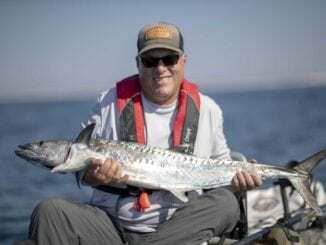 This rig is highly customizable and provides a simple starting point for those interested in Kayak Fishing for King Mackerel. We recommend tying several and placing them inside individual ziplock bags for quick access. King Mackerel are slash feeders and will often bite the bait in half, by presenting a smaller bait you increase the chances of the hook finding the corner of their mouths. There’s a ton of water out there and most anglers like to move, after all, you never know what you’re going to find! 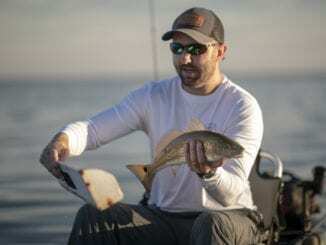 While trolling you might just find a bottom spot loaded with Red Snapper, if you want to catch them, check out Kayak Fishing for Red Snapper. A “stinger rig” uses multiple hooks and allows you to use larger baits while on the move. The larger baits will stay alive longer and freely swim behind the kayak when you slow down or change directions. You can purchase pre-made trolling rigs like the Sea Striker at a variety of tackle shops. However, we prefer to tie our own. This allows us to customize the length of the wire, hook spacing, and skirt color prior to hitting the water. We will release “King Mackerel Rigs” soon, so keep an eye out!!! Kayak Fishing for King Mackerel is great way to spend time on the water. The two methods listed above will make your time on the water more productive. If you are interested in catching a King Mackerel, schedule an Offshore Kayak Fishing Charter.